Det er Torsdag og ny utfordring hos MAWTT. It is Thursday again and Lisa (and team B) has a new challenge for you at MAWTT. Jeg har laget et vårkort med et ferdig farget motiv som heter Dandy and Deanna Ducky. I have made this card with a precolored digi stamp. Håper du fikk lyst til å være med på utfordringen. Hope you join in our challenge this time. Hope you are doing ok hun! Super sweet card Marita - adorable image and beautiful flowers. This is adorable Marita! Such beautiful soft colors and I love the way you've done your sentiment! Hi Marita, awww such a cute image and a lovely card. This is really adorable, love this cute image and the beautiful spring colours. This is a real cutie and full of fun. 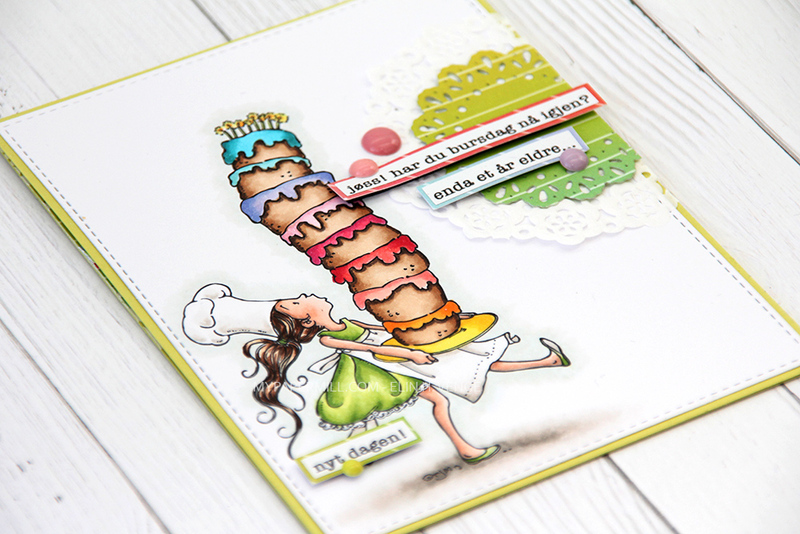 Love the bright cheerful feel of this card Marita. The fun image is great. Herlig påskekort, og kyllingene var kjempesøte :-) Nydelig pyntet også! OMG, soooo cute! The happy little faces make me smile!! !